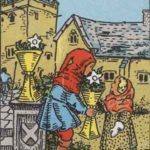 Cups represents the vessel, and the ‘element’ is water. 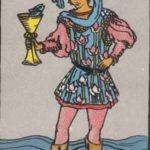 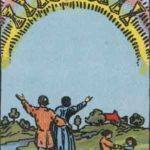 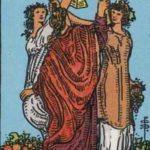 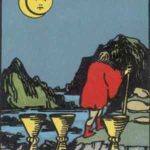 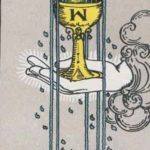 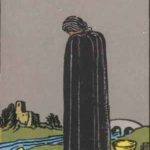 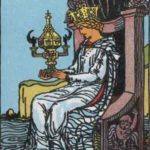 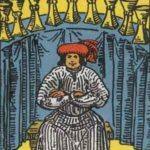 The Suit of Cups deal with the traditionally feminine and emotional side of things. 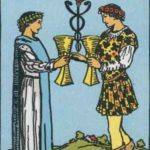 In symbology, a cup or other vessel for liquid is frequently used to signify ‘female’. 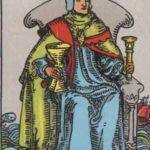 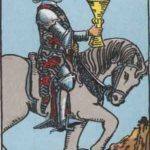 The Suit of Cups represents emotional thought over logical thought, and are also associated with spiritual matters and belief. 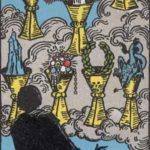 If you see a lot of Cups in a reading, it could mean that the spread you’re reading is a very emotional one, possibly very personal to the subject of the spread. 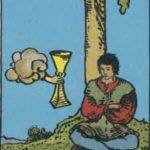 Emotions go up and down, so a reading with lots of cups can be at either end of the spectrum when it comes to reading feeling.